Designed by Fender Katsalidis and CBG Architects and constructed by Crema Constructions, Kubix at 400-408 Burwood Highway, Wantirna South features stunning apartments with hotel quality amenities. Kubix is a luxury three stage residential development with its final stage completed in 2017. In a prime location in Wantirna South, Kubix is located across the road from Westfield Knox and its many shops, restaurants and entertainment zone. Only minutes from Eastlink and a short walk to bus stops, a short drive or bus to nearby train stations and close to The Knox School and Wantirna College, Kubix is ideally located in a prime area of the Eastern Suburbs. Kubix features modern interiors and spacious living zones, full time on-site building manager, secure lobby entrance and basement parking. 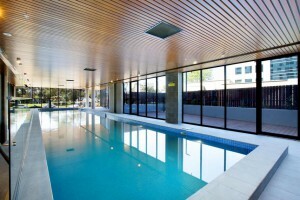 Communal amenities include gym, resident’s lounge, outdoor deck, swimming pool and sauna. 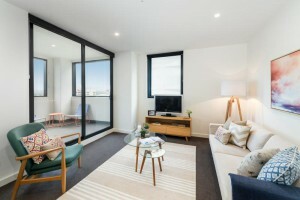 For any further questions or for rentals or sales enquiries, contact Savoy Real Estate, your number 1 choice and expert in Kubix at 400-408 Burwood Highway, Wantirna South.